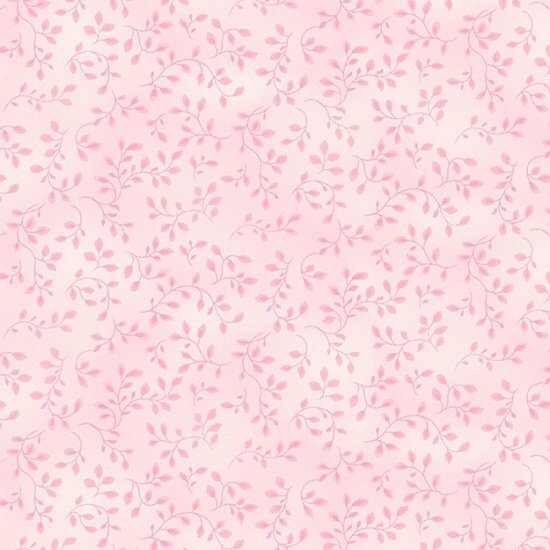 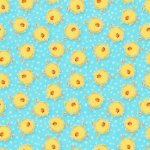 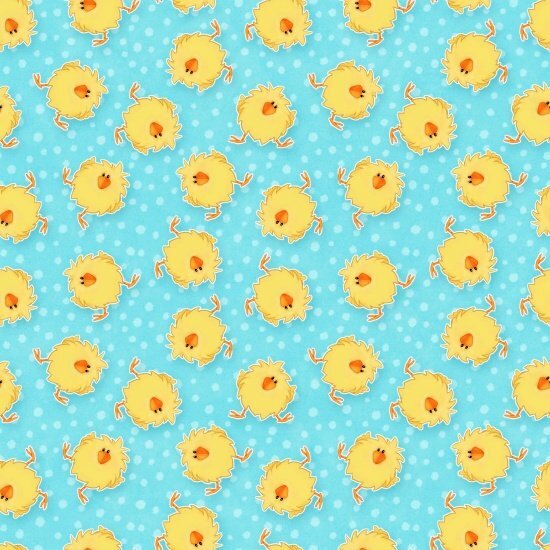 Holiday Fabric > Easter > Hippity Hop! 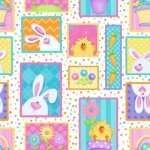 A sweet 10 pc collection from the Henry Glass designer, Shelly Comiskey, who is always a favorite with quilters. 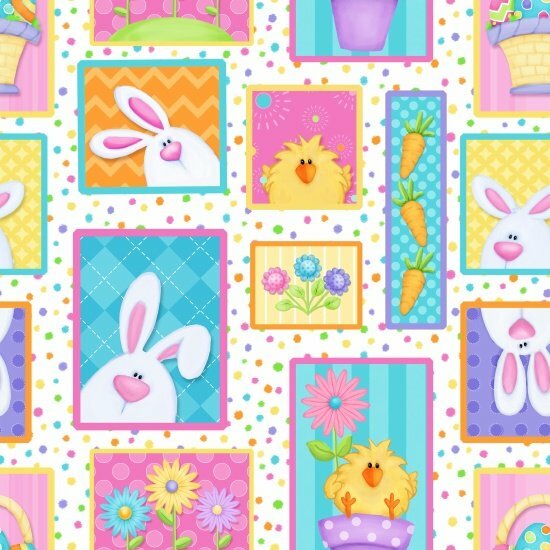 The sweet group is full of fluffy chicks, white comical bunnies, and Easter eggs in all manner of Easter beauty with chevrons, stripes and dots. 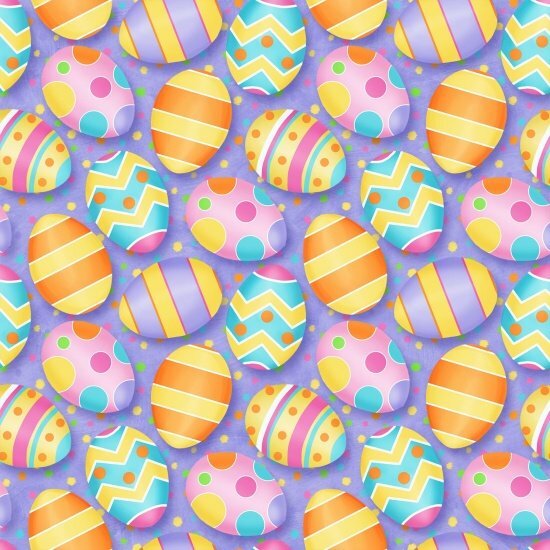 A sweet all over print with squares that feature Shelly's charming Easter characters, and a stripe with all in grassy gardens make you wish it was Easter all year long.